When contracting on construction projects, it’s imperative to have appropriate written agreements and programmes in place. Often, contracts give both parties the right to terminate if one or either becomes insolvent. That means you can walk away from a project without incurring any further costs but what should you do about the money you are owed for the work you have already completed? That’s the shadow hanging over around 30,000 businesses collectively owed £1 billion following the collapse of Carillion which has left chains of first tier suppliers and sub contractors in limbo. The scale of this insolvency is extraordinary but the same common sense responses to a customer in insolvency still apply. Firstly, it’s worth getting a good sense of how exposed you are. 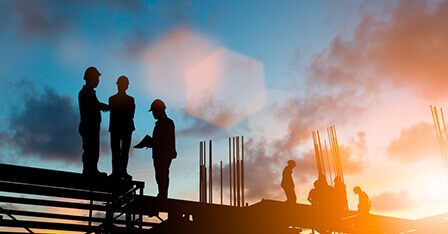 Clearly, if your business depends for its survival on the next payment from Carillion, as is sadly the case for some, it will be your number one priority. However, if your exposure is far from critical, it would be a mistake to spend every working moment on the issue when you have other customers to look after and opportunities to pursue. Having said that, you still need to take some action urgently. You may have seen news about banks creating a fund for firms affected by the collapse and of a new government task force to address the issue but don’t take those as an excuse to do nothing and hope for the best. There are plenty of things you can do now to protect your business. Step one is to look at where you have outstanding contracts and whether these are affected directly or indirectly with Carillion. This is a list of the companies in liquidation: Carillion plc, Carillion Construction Ltd, Carillion Services Ltd, Planned Maintenance Engineering Ltd, Carillion integrated Services Ltd and Carillion Services 2006 Ltd. The liquidators, PwC, have set up a website for everyone affected. Go to https://www.pwc.co.uk/carillion? and select ‘Suppliers’. Check your contracts in both directions, firstly to see if you’re entitled to suspend or terminate your contract with your customer and secondly to see what your options are with anyone that you are sub contracting to. If you decide to take action under your contracts, make sure you do this within the terms of the contract. Your contract with your customer may set out specifically what should happen if one of the parties in the supply chain becomes insolvent. Make sure you understand it and keep track of progress. If the contract doesn’t do this, take steps to retrieve the money owed to you, which may be through legal means or withholding future work on the project until you are paid. Take steps to protect any physical property or supplies that you have not been paid for, making sure to do so within the law, of course.